Interior Features Vaulted ceilings; laminate floors; great room; 4 bedrooms; master suite with full bathroom; loft; large windows for plenty of natural lighting. Exterior Features Fiber cement siding; metal roof; newer vinyl windows; large front yard. 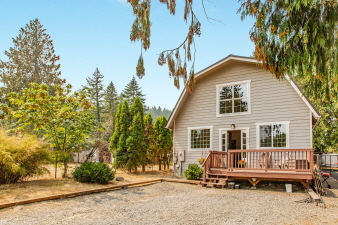 Additional Features and Amenities Across from the Clackamas River and trails! Nearby Timber Park!